ADVERTISING has now invaded the taxicab in the form of a panel which fits above the partition between driver’s seat and the passenger’s compartment. 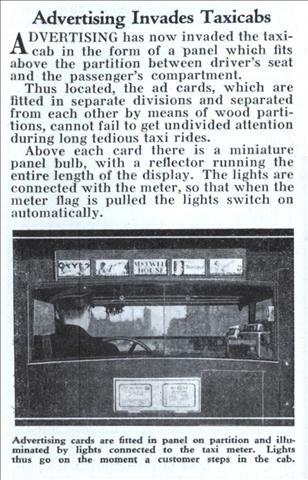 Thus located, the ad cards, which are fitted in separate divisions and separated from each other by means of wood partitions, cannot fail to get undivided attention during long tedious taxi rides. 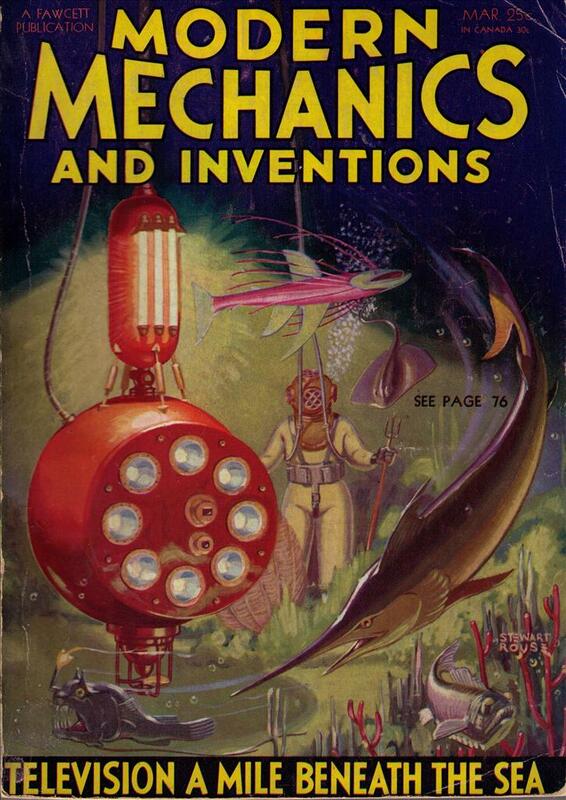 Above each card there is a miniature panel bulb, with a reflector running the entire length of the display. The lights are connected with the meter, so that when the meter flag is pulled the lights switch on automatically.